ePublishing Knowledge BaseePublishing Knowledge BaseePublishing Knowledge Base Creating and Managing EventsHow do I add new sections/navigation to my event's landing page? If you have any questions or need assistance, please contact your Solutions Manager. 1. To add custom page navigation and new sections to your Event's landing page, click Custom under Edit. This feature removes the need to use Page Manager to create a single âevent subsiteâ or to house events on third-party sites or on in-house servers. 1.2. But first, if you haven't done so already, create your Custom Event fields. Read this article to learn how to set up these custom details in the Event Detail Manager: How do I create custom event details that will appear on my event's microsite? If you need access to the Event Detail Manager, please talk to your systems administrator. Within Sys Admin, the Event Detail Manager controls the creation and administration of which fields can be displayed on your microsite or landing page based on its classification. If you need access to the Event Details Manager, please talk to your systems administrator. Within Sys Admin, the Event Detail Manager controls the creation and administration of which fields can be displayed on your microsite or landing page based on its classification. 2. To access and edit the content in each of the fields you set up for your Event, click on Custom under Edit in the Event Manager. 2.2. 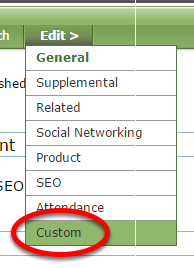 Each of your custom fields will appear after selecting the appropriate Classification (1) - for example, Sponsored Event - and clicking Update Classifications (2). 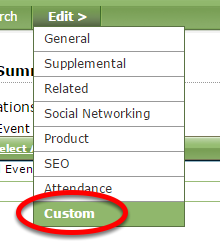 Zoom: Each of your custom fields will appear after selecting the appropriate Classification (1) - for example, Sponsored Event - and clicking Update Classifications (2). You may select more than one classification. 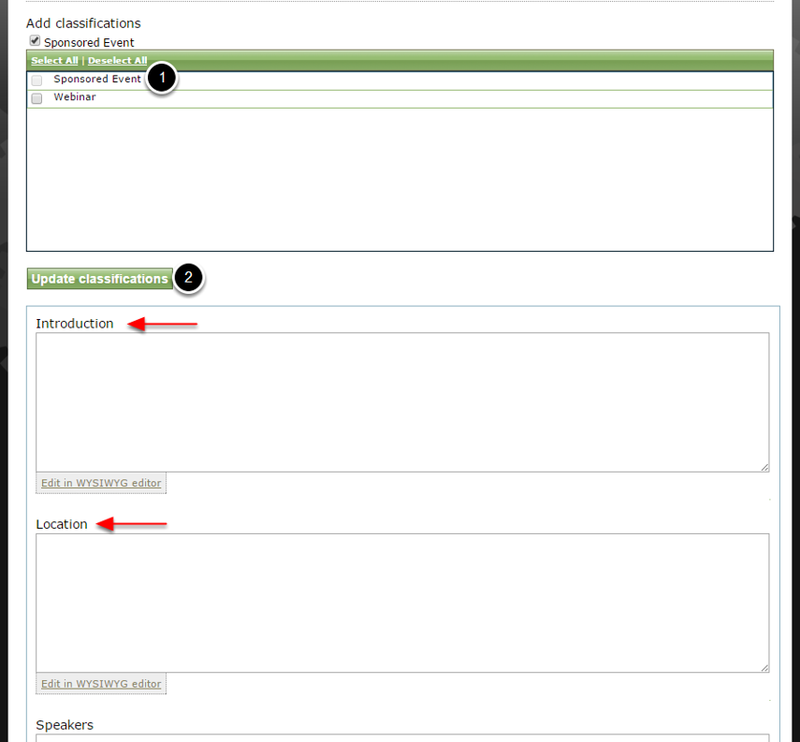 All fields previously set-up that are associated with those classifications will appear. 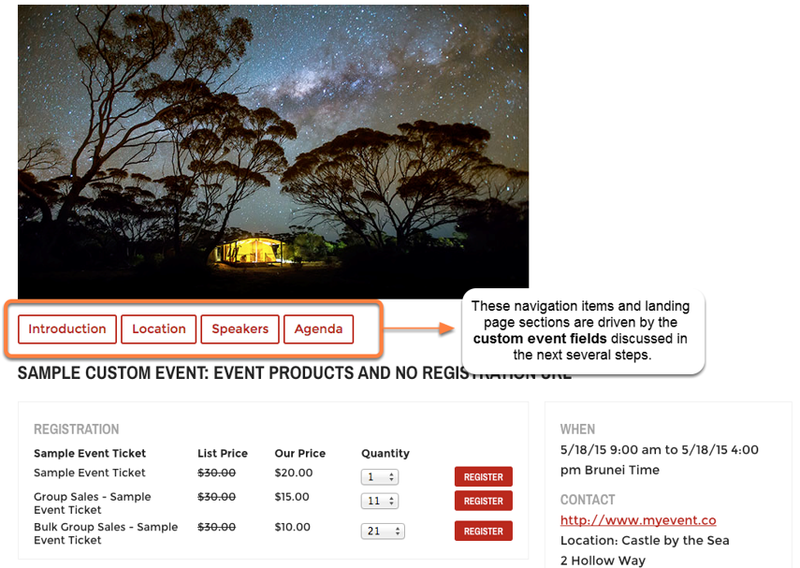 Add the event details under each category by typing HTML directly into the box or click Edit in WYSIWYG editor. 3. When you are finished updating your event, return to General under Edit and click Publish. Zoom: When you are finished updating your event, return to General under Edit and click Publish. 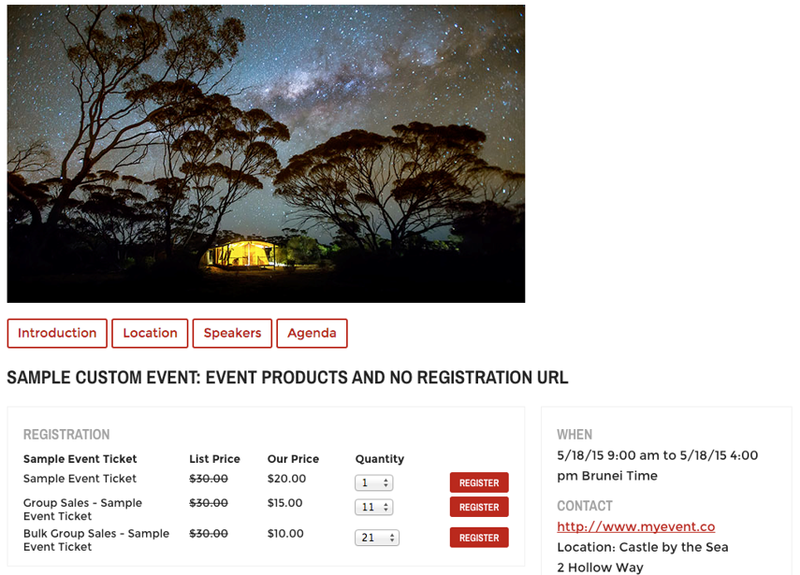 Next: How do I create custom event details that will appear on my event microsite?